Where to buy VPS with Bitcoin? There is a wide selection of VPS’s that you can choose from on the Internet. Cheap VPS’s, offshore VPS’s, American-based VPS’s, Windows VPS’s, the list is endless. 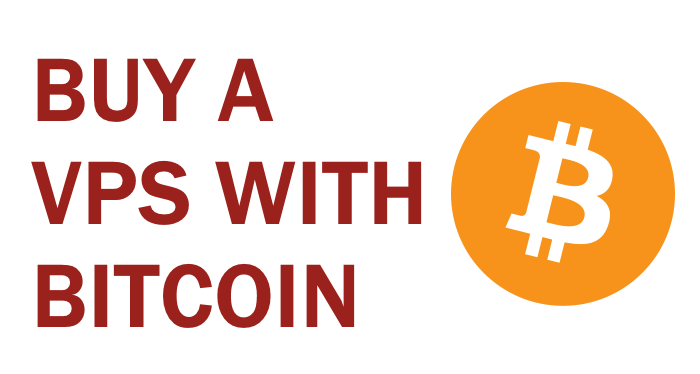 Thus, it comes as no surprise that there are also Bitcoin VPS’s available. Not only are there many VPS providers that support Bitcoin as a payment gateway, there are also hosts that only support Bitcoin, known as bitcoin hosting providers. In this list, we’ll look at both types of hosts. Before we list 10 providers where you can buy a VPS with bitcoin, let’s briefly go over why someone would prefer to pay with Bitcoin over, let’s say, PayPal. You can open account, known as a ‘Bitcoin Wallet’ or simply ‘Wallet’ without having to register with any of your personal details. The application is called Bitcoin Core, and it is base program of Bitcoin. We highly suggest avoiding any online interfaces to store your Bitcoin. You’ll have to wait until it is completely synchronized, which can take a few days. Sending and receiving Bitcoin payments using Bitcoin core is done without any additional fees. If you compare that with the 5% fee that you have to pay using PayPal, you quickly realize the wonder that is Bitcoin. Since you are not required to give any personal information, nobody really knows who exactly is paying and what for they are paying it. Blockchain.info keeps a log of all the transactions made, but that’s really it when it comes to logging. Bitcoin’s value changes significantly every day, and that there have been cases where it shot up 10% in a single day, making everywhere who had Bitcoin 10% richer. Some thus see holding Bitcoin as an investment similar to how someone would have shares of a company. Hostigation is an American host founded in 2006 that never really gained much popularity over the past decade. They offer their services in Charlotte NC and Los Angeles CA. Aside from their VPS’s, Hostigation offers backup services, dedicated servers, shared hosting, SSL certificates and reseller plans. Hostigation offers a narrow variety of VPS’s. Not only is the selection limited, their VPS’s range from very weak to weak, which explains why they have never gained much popularity. Furthermore, the prices are too high. Even for American standards. MonoVM is a popular host that started back in 2012. They’ve grown to offer a wide selection of hosting services in various countries. They offer windows VPS’s, linux VPS’s, dedicated servers, colocation, domain registration, web hosting, reseller hosting and SSL certificates. Their locations include USA, Netherlands, England, Lithuania, and Canada. MonoVM’s VPS’s are pricey. You can get most plans for half the price and with SSD disks. Regardless, they offer a wide range of locations, which can be great for those who need VPS’s in specific countries. Superbithost’s VPS plans are overpriced, which is understandable given that they resell VPS’s and they are looking to make a profit as well. Furthermore, aside from Bitcoin, Superbithost also accepts Litecoin, which is a less popular, but reliable alternative cryptocurrency to BTC. $25.00/year is an excellent price, until you realize that you only receive 128MB RAM. That’s almost ten times less than the standard 1GB RAM you can get these days for 8 bucks. I even know some hosts that offer 128MB for a dollar a month. So all in all, their VPS’s are overpriced, which is why they are positioned seventh on this list. Qhoster, a popular name in the hosting industry, began back in 2004. With more than a decade of experience, Qhoster has grown to 13 locations worldwide. Some of these locations include UK, USA, Mexico, Singapore, France, Lithuana and France. Not only do they have many locations, they also offer many different types of hosting services. Cpanel web hosting, cPanel reseller hosting, linux VPS, Windows VPS, dedicated servers and domains are among those services. These VPS’s use OpenVZ virtualization, which is usually a second choice. KVM virtualization being the first choice for most experienced VPS users. Also, their VPS’s are not using SSD drives, which shows how Qhoster employs cost-saving features to maximize their margin. Another unusual choice is that their biggest VPS only has 4GB memory, while the norm by other providers is usually 32GB or even 64GB. A big plus by SecureDragon is that they offer IPv6 addresses for their VPS’s. Having said that, their VPS’s are slightly overpriced, but it should be an excellent option if you are looking to host in the Floridian region. LegionBox began in 2014 by a team of Russian tech administrators. Their head office is located in Moscow, and they can be contacted directly on their personal phone numbers. Their commitment to a quality service can be felt easily. For example, they offer support for free with their virtual servers and dedicated servers. Their unmetered bandwidth is not truly unmetered. For their Swiss and German location, the limit is just 2 and 3 Terabyte respectively. Far from unmetered. For their remaining locations, which are Los Angeles and Russia, the bandwidth is unmetered, but you can still expect a bandwidth limit like 50Mbps or even lower. It is best to contact them first and ask for Mbps guarantees. BitHost.io – credit for their original name – started in 2014. What differentiates Bithost.io from other hosting providers is that they do not only offer a monthly pricing model, but also an hourly pricing model. So for example, their 512MB VPS costs $7.00/month, but you can also buy it for $0.01/hour. This is great for if you want to use a VPS for a much shorter period of time than one month. Their VPS’s are relatively well priced, but you can get them for cheaper. Also, they are resellers of Digital Ocean and BitHost.io is run by a single person named Scott Robertson. He offers Digital Ocean packages for a higher price (40% higher) and explains that this increase is caused by the USD to BTC conversion. To keep it short, that’s not how it works. Once Digital Ocean begins accepting Bitcoin, BitHost.io’s entire business becomes obsolete. THCServer’s VPS prices are affordable but more importantly, they are fair. Together with their professional team that is ready to assist you at all times, THCServers is a great option if you’re looking to buy a VPS with bitcoin. As you can see, AbeloHost’s VPS’s are twice cheaper than AbeloHost has one of the best prices on the Internet when it comes to VPS’s. They have a 30-day money back guarantee, But most importantly, they accept bitcoin. LibertyVPS.net is the best option if you need a wide bandwidth channel for an affordable price. On top of that, LibertyVPS allows a lot of activities and content that other offshore hosts would not. This was a list about where to buy a VPS with bitcoin.